Now that the summer holidays are sadly over and everyone is back to stuffy classrooms with their busy school timetables, we ask ourselves the question, “Why is Masque Youth Theatre so important now we are going back to school?” My answer: to give us that burst of fun we need. I am now facing the challenges that my second year of college will throw at me. Now I am a second year Btec Drama student. I have a better knowledge of the teachers, classes and hard work that goes into each term. Combining everything I have learnt from the first year and working towards my new assignments, gives me the opportunity to put all my hard work and drama skills together. During this term I will be travelling around many different schools throughout five weeks non-stop pressure, putting in The Buzzed, a theatre-in-education play about the dangers of drugs. However, I know, each Tuesday night, Masque Youth Theatre gives me my own buzz. At present a night of drama games and activities, a way to relax, talk to my friends but still a way to further my skills whilst having fun. As a majority of Masque Youth Theatre is populated by those who have just received their exam results, it them extra relief they need to put a hold on revision, stress and worry. Instead giving them a sense of freedom before the next step in their school year. 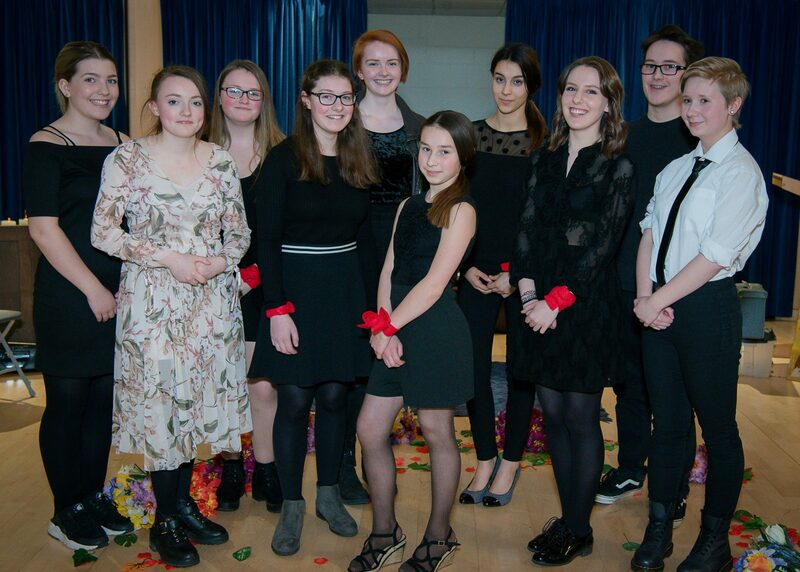 Another aspect that brings Masque Youth Theatre closer together is our support for one another outside of the group. Watching A-level performances, GCSE pieces and other drama performances are just some of the examples of how the group can socialise and support fellow members outside the Tuesday sessions.